Includes bonus material and a never-before-published version of issue #1! Patricia Briggs, the #1 New York Times bestselling author of the Mercy Thompson novels, “always enchants her readers" (Lynn Viehl). 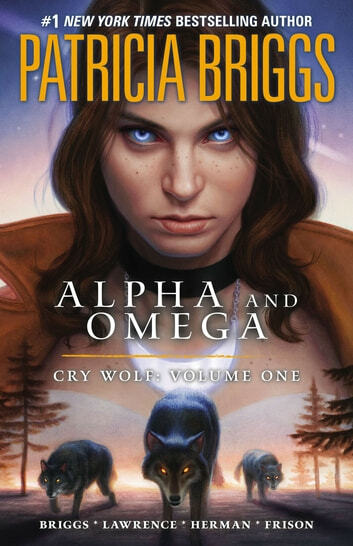 Now her Alpha and Omega series—set in a world of shifting shapes, loyalties, and passions—comes vividly to life in this collection of four comic books based on Cry Wolf, the first book in the series. You can't read it on a kobo touch. Disjointed and confusing storey with a lot holes in the storey. Skip it! I love Patricia Briggs' stories, so I have bought the comic without hesitation, but the artwork is awful. I'm buying the second part because I'm just a sick fan, but it's not worth paying for it. 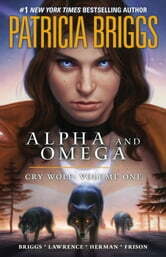 Patricia tells such a wonderful story with her am Alpha and omega series. In this manga, the artwork is not great and distracts from the story. And even the story is very disjointed and not as enjoyable to read. I love Patricia's books and I always by them on the first day...and yet I will not bother with the second manga.